Several years ago I discovered TED videos, have you? We all get so many motivational emails and other things that really just take up our space and time. But, I do love to "find" a great TED video. When I first saw that I immediately thought of our sister CEC Division for Teacher Education Division but this TED has nothing to do with CEC or even education. According to their website, TED is a nonprofit devoted to spreading ideas, usually in the form of short, powerful talks (18 minutes or less). TED began in 1984 as a conference where Technology, Entertainment and Design converged, and today covers almost all topics — from science to business to global issues — in more than 100 languages. Meanwhile, independently run TEDx events help share ideas in communities around the world. These videos cover every subject but they do have a lot on education. If you haven’t ever seen one, start with the radical ideas on school curriculum and assessment of Heidi Jacobs Hayes in this talk. If you have a favorite TED talk, please share it with me! Speaking of radical, what a great opportunity to make a radical difference in congress by partnering with your colleagues from around the country up on the Hill at the 12th Annual CASE Educational Legislative Leadership Summit in July! The CASE Educational Legislative Leadership Summit, July 13-16 is a great opportunity for you to reconnect and be revitalized with your colleagues from your state and with those from other states! In case you have come in the past, and we do have lots of repeat attenders, we have changed the schedule a bit this year — we will be starting EARLIER on Sunday July 13 ... registration will be from 4:00-4:55 p.m. and the session will begin at 5:00 p.m.. We will be done by 7:00 p.m., just in time for you to grab some colleagues for a nice evening meal in Old Town, Alexandria! We need every state to have a team attending the 12th Annual CASE Educational Legislative Leadership Summit, July 13-16. Go to the CASE website to register and click here for the flyer. This year as every year, it is very important for CASE to have as many different states represented up on the Hill for our visit on Tuesday, July 15. There are several really important national issues we will be working on in DC this year with our other association partners. Don't miss this great opportunity. And, with a hotel group rate of $149 at the Hilton Old Town, right across from the King Street Metro stop, this might be a great time to do a D.C. excursion for you and the family! Group rate ends June 17 so click here to make your hotel reservations! Click here to download a flyer [link to attached flyer]. And Don't Forget the CASE Career Center! If you haven't visited the CASE interactive job board at the CASE Career Center, now is a good time to do so! With its focus on special education administrators and professionals, the CASE Career Center offers members, and school districts, a highly targeted resource for online recruitment. Both members and non-members can use the CASE Career Center to reach qualified candidates. Employers can post jobs online, search for qualified candidates based on specific job criteria, and create an online resume agent to email qualified candidates daily. They also benefit from online reporting providing job activity statistics to track each job posting's return on investment. PS ... Do you have a suggestion for the weekly poll? We would love to hear from you! Email me and let me know your thoughts. Kids with ADHD have a hard time completing tasks, such as homework and chores. They may understand the material and be capable of completing the assignment, said Cindy Goldrich, Ed.M., ACAC, an ADHD parent coach, mental health counselor and teacher trainer. Recently, the "My Brother's Keeper" initiative, created by President Barack Obama, issued a 60 page report calling for improving life outcomes for boys and young men of color. Highlighted in the report is the fact that children of color are often overrepresented in special education programs, particularly American Indian, Alaska Native, and African-American boys who are disproportionately identified as having an "emotional disturbance." On May 30, 2014, the U.S. Department of Education announced a call for applications for three new awards announced in the Federal Register. These awards include The Teacher Quality Partnership Grant Program, Charter Schools Program, and The State Charter School Facilities Incentive Grants Program. Below, please reviews the purpose of each program and deadline dates for applications. For students with intellectual disability, functional skills are often prioritized over academics, but a new study finds that children with low IQ are capable of learning to read. With persistence and specialized instruction, researchers found that kids with mild to moderate intellectual disability can read at a first-grade level or better. They say the results could have life-changing implications for thousands of students with low IQ. The two experts closest to the development of features designed to make the new Common Core assessments accessible to all students, including English language learners, appeared on edweek.org yesterday to answer questions from the field. Magda Chia, the director of system design and support for underrepresented students for Smarter Balanced; and Tamara Reavis, a senior adviser for assessment, accessibility, and equity at PARCC; spent an hour taking questions and explaining the range of supports and features for students with disabilities and English language learners. Kids with ADHD have a hard time completing tasks, such as homework and chores. They may understand the material and be capable of completing the assignment, said Cindy Goldrich, Ed.M., ACAC, an ADHD parent coach, mental health counselor and teacher trainer. She shares her unique insights and experience to build an environment where kids feel safe, supported and capable of learning. But "they often have significant weakness in their ability to get started, stay focused, plan and organize their work, monitor themselves to regulate their actions, and manage their emotions." School report cards published by state education agencies are a staple for parents deciding which schools their children should attend, but many states are still struggling to collect and report key accountability information and make it easy to understand for parents, a new report finds. The Education Commission of the States asked researchers, parents and education experts for their thoughts about school accountability systems: whether the report cards are easy to find, whether they are easy to understand and which measures are essential to include in them, such as student achievement, student academic growth, achievement gap closure, graduation rates, and college and career readiness. Opposition to the Common Core, a set of reading and math standards for elementary, middle and high school students that were originally adopted by 46 states and the District of Columbia, has gathered momentum among state lawmakers in recent weeks. The governors of Oklahoma and South Carolina are considering signing bills to repeal the standards and replace them with locally written versions. In Missouri, lawmakers passed a bill that would require a committee of state educators to come up with new standards within the next two years. The practice of voluntarily delaying school transitions, either by red-shirting kindergarten, repeating twelfth grade, or introducing a gap year between high school and college, is a well-established tradition in the United States. The extra year gives students time to mature athletically, academically, or developmentally. Although kindergarten entrance and the transition from high school to college have long been seen as the ideal times to take an extra year, recently eighth grade has been seen as an opportune time for kids to catch up with — or maybe even gain an advantage over — their peers. An important research study recently made the news. Sibling bullying has been going up in recent years. This follows on the heels of another important study that found that kids who attend schools that have anti-bullying programs are more likely to be bullied than those who attend schools without such programs. Why is this happening? For the past fifteen years, the modern world has been conducting war against bullying. All of society has embraced the "anti-bullying" message. Schools have been declaring that they won't tolerate bullying, and that kids must tell the adult authorities whenever they are bullied so they can step in and make the bullying stop. Underperforming schools are raising student-performance levels by lengthening their school day from six-and-a-half hours to eight. Concerns over how to successfully improve failing schools have lead researchers to look at the benefits of longer days with a more varied curriculum. They found that when students in low-income areas are given more time, test scores improve between 11 and 24 percent. Products that use principles of science, technology, engineering, and math can be found in many of our children's most valued possessions — from video game systems to computers to the smartphones attached to their hands. Unfortunately, their interest in these items does not often equate to an interest in these subjects. It is a fact underscored in the most recent study by the Program for International Student Assessment. Anya Kamenetz, a contributor for MindShift, writes: "Bate Middle School is a mundane '70s-era, red-brick building. But what's happening inside is anything but mundane. I've driven the 37 miles from Lexington to see one of the most closely watched efforts in the country to change the way schools assess student learning. Principal Amy Swann and the district's Superintendent, Carmen Coleman, have completely overhauled their school's educational philosophy, moving away from standardized tests toward an approach called performance-based assessment." Large class sizes and not enough instructional time to meet the needs of all students were among the top concerns of Oregon's Salem-Keizer educators, according to statewide survey results. But the data also showed that the district's teachers and administrators were more satisfied with professional development than the statewide average. Overall, 82.3 percent of Salem-Keizer educators who responded to the survey agreed that their school was a good place to work and learn. 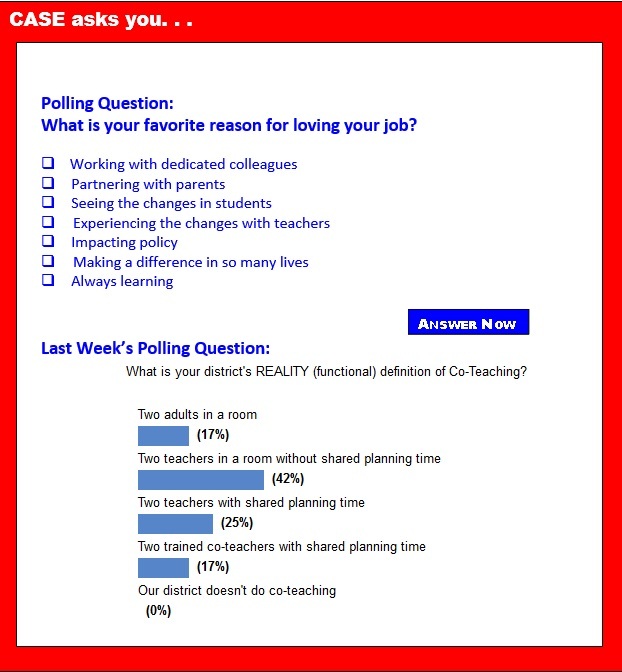 There were 1,541 educators in the district who responded to a new statewide survey about the teaching and learning conditions in their schools, representing a response rate of 72 percent. The district's participation rate was higher than the state's average.